"Everybody's workin' for the weekend" is the classic lyric from Canadian band, Loverboy. And probably no weekend fits that bill like this coming, Labor Day weekend. But recently, while I was on vacation, I was reminded to think about my work weeks and specifically weekends a little differently. These days, there is no shortage of people, books, blogs and the like out there telling us to "be passionate about your job or get out". But what most people aren't talking about is what to do with your free time. Weekends are also valuable times. They are times that can make us more effective in our work if they are used well. Alternatively, we can make them so draining that by the time we get into work on Monday, we're so tired that we need a day of quiet at our desk to come to, or if we don't have that, we risk limping along putting in sub-standard work. 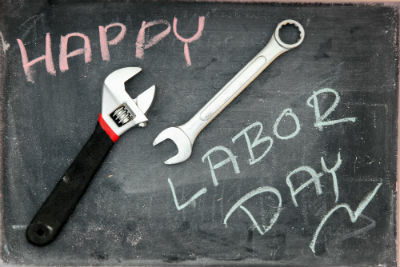 Enter Labor Day - a funny holiday that's name refers to work, but is actually a break from our jobs. These days, it's commonly seen as the last opportunity to have some summer fun before the long slog of the school year begins again. But what if this year, you were to use Labor Day to set you up well for the coming months? What if you were to use your recreational time at your home, at the cottage or on the beach for a day, to relax, be quiet for a time and maybe take in a book that will provide you with an input so that when you get back into it on Tuesday, you'll have something extra to give in the coming months of output? What if you used that time to plan out what other inputs you'll have in the coming months between now and Christmas as you continue to work hard on all that you've got lined up to do? In our rushed lifestyles, the only way we'll have that well-used down time is to plan for it. You'll be better for it and your team will be better for it.